The interest in energy storage systems among utility companies is rising as the the concept of developing a more flexible way of delivering power to the grid gains prominence. National and regional governments worldwide are also working with utility companies to build energy storage infrastructure, even if they are not specifically addressing the issues of electricity shortage and carbon emission reduction. A host of factors can affect patterns of electricity demand, or load curves. The time of the day (e.g. daytime vs. nighttime), the days of the week (e.g. weekdays vs. weekends), and the seasons of the year (e.g. summer vs. winter) are three variables that can significantly influence demand. Take Taiwan for example. The electricity consumption of the whole island during the peak load period can be at least twice as much in the summer than in the winter due to the use of air conditioning. When faced with sudden and dramatic changes in the load curve, transmission system operators that manage power grids generally rely on electricity generated by natural gas power plants (i.e. peaker plants) to help maintain the balance between supply and demand. Energy storage systems that use ultra-high capacity lithium-ion (Li-ion) batteries have now emerged as another option for grid dispatch in addition to gas-fired power stations. The largest example of this kind of energy storage systems is Tesla’s battery array located in the Australian state of South Australia. Installed at the end of 2017, the battery array proved its worth within the first month of operation. When a coal-fired power station in the neighboring state of Victoria tripped in December of the same year, the battery array injected its reserve of 100MW into the national grid within 140 milliseconds, thereby alleviating brownouts and averting blackouts for many local communities almost instantaneously. Also, PG&E, a major utility company operating in the US state of California, plans to build four battery facilities near San Francisco. PG&E obtained the approval for the project from the state’s public utility commission in November 2018. The total capacity of the four battery facilities is set at 567.5MW. Once built, they will serve as an alternative to gas-fired power stations for balancing the grid. 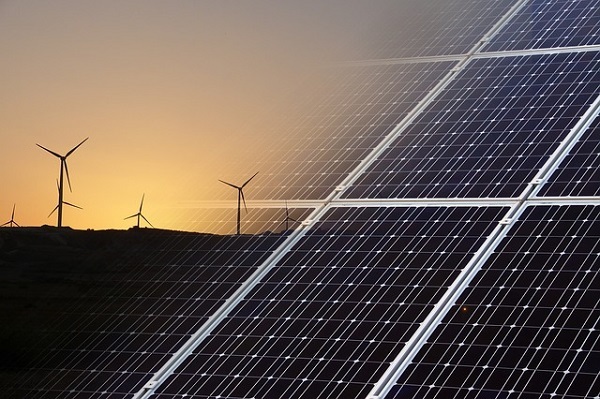 Moreover, projects such as the ones in Australia and the US raise the possibility that the combination of renewable generation systems and energy storage systems can reliably meet the electricity demand of different types of consumers. The costs of renewable generation have fallen faster than expected in recent years. According to data from the US Energy Information Administration, around half of the newly added utility-scale generation capacity in the US every year since 2014 has been based on renewable energies (e.g. solar photovoltaics and wind power). At the same time, the wider public has become more concerned about matters related to energy conservation and carbon emission reduction. The support for building new power plants that run on fossil fuels, including ones that burn natural gas, is now quite limited. On the other hand, solar photovoltaics and wind power are intermittent forms of electricity generation. Since weather conditions vary, solar power plants and wind farms may at times produce insufficient or excess electricity. Utility-scale batteries are designed for these instances, as they absorb the surplus generation that the grid cannot handle and feed power back to the grid when situation requires (e.g. when there is a sudden demand spike, or when the renewable generation fails to meet the grid load). Hence, they can make grid dispatch simpler and smarter. A team of researchers at North Carolina State University (NCSU) in the US recently released a study that provides a cost-performance comparison between Li-ion batteries and local natural gas peaker plants as well as an analysis on the future role of energy storage technologies. The study contends that utility companies should take account of the rapid decline in battery prices and be prepared to develop more flexible energy storage solutions. Utility companies also need to establish a long-term plan that can help reduce the electricity bill for consumers. Nevertheless, coal-fired and gas-fired power stations are not going to be soon replaced by renewable generation systems working with Li-ion batteries. Natural gas and coal remain the two dominant energy sources in the US, respectively accounting for 31.7% and 30% of the country’s overall electricity mix. Furthermore, the production of natural gas in the US has risen considerably in recent years with the introduction of the hydraulic fracking technology. The NSCU study points out that the prices of Li-ion batteries are still quite high, in the range of USD 300-500/kWh. Thus, Li-ion batteries cannot compete with natural gas in maintaining grid balance at the moment. However, the study’s projection model shows that Li-ion batteries will become a more cost-effective option in 2030 if their price decline continues at the current pace. The NSCU study also aligns with the findings in the 2018 edition of New Energy Outlook (NEO) that was published by Bloomberg New Energy Finance. According to NEO 2018, the price of Li-ion batteries in MWh terms has already dropped by 80% since 2010. The push to build more electric vehicles is expected to drive the battery price decline, which in turn will have a major effect on the development of power generation and grid infrastructure in the future. Bloomberg’s report also forecasts that investments in battery capacity for energy storage will reach a cumulative total of USD 548 billion by 2050. Two-thirds of that total will go to grid-level systems and remaining one-third will go to small-scale, behind-the-meter systems for households and businesses. Thus, energy storage systems will become a major target for investments in utility planning worldwide in the future.